Does it get any more exciting than this… We are ecstatic to announce that Love Cottages (www.lovecottages.co.uk) officially launched on 20 January 2016. We’re live! We’ve talked about it for months, we’ve teased with our passion and our proffering. Now you can see it for yourself. Let’s have a reality check: we’re a travel start-up with decades of travel industry experience under our virtual roof. So what? So we launch with a minimal viable product (that’s MVP to any product or tech type people in the know) that is way more than minimal and wholly viable, and which lands smack bang in the middle of peak holiday booking season. 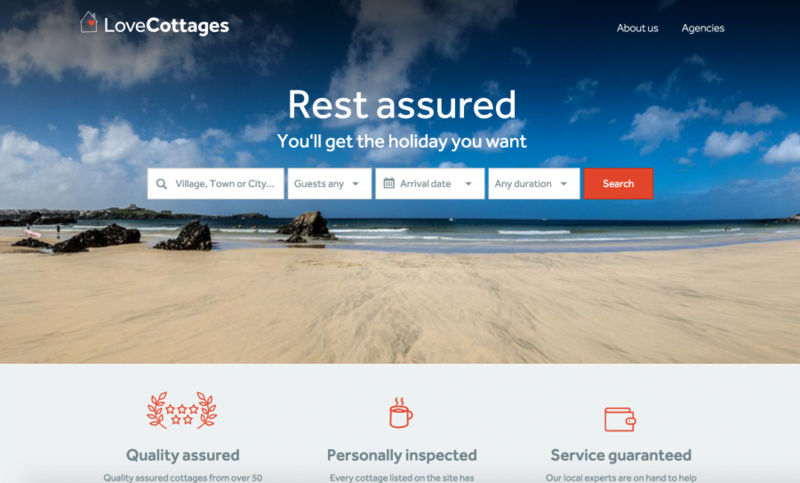 We launch with 9,500 UK holiday homes that are searchable and sortable; sufficient for any domestic holidaymaker to find their Easter holiday cottage for 2016. And we launch with a plan to onboard the remainder of our 16,000 committed holiday properties. Some of which will be live within days and weeks. At 16,000 properties we are the UK’s largest collection of personally inspected holiday accommodation. Forgive us for and please ignore any sense of smugness. It is really just a sense of ‘we did it’. We’re now open for business. Which is the business of creating holidays packed with quality accommodation, knowledgeable service and rest assured. Our five founding members, themselves the owners and managing directors of their own successful self catering agency businesses, have rallied their industry peers. So together means that we have 52 agency partners listing their UK holiday accommodation with us. And in true travel start-up style, we’re doing it quick and we’re doing it a bit at a time. Obviously, we’ve done lots of ‘bits’ to get us to launch. But we’ve got a few more bits to get all varieties of booking engines up and running between us and our partners. As we do that, you’ll find more and more properties to browse and book. From Scotland to Kent and the Isles of Scilly via Wales and East Anglia, we’ve got cottages in England, Wales and Scotland covered. Around two thirds of our offering is family friendly holiday cottages and around half is pet friendly holiday homes. All that’s left to say is welcome and happy holiday browsing and booking. Search away.